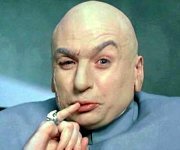 A few days ago I read an article speculating that the one-man computer-dating company, PlentyOfFish.com, may be worth a billion dollars. This inspired me to write the following rambling reminiscence of my forays into computer dating services — not as a customer, but as an operator. Chuck and I bonded over our shared nerdiness. How nerdy? In our seventh-grade music class, one homework assignment was to develop a board game illustrating the differences between different eras of classical music history. We undertook an electrical engineering project, drawing up circuit diagrams, buying parts at Radio Shack, and soldering them together in Chuck’s basement. The resulting game, which we called ElectroMusiQuiz, required players to answer music-history questions on cards that could then be inserted into a slot that would cause the right answer to appear on a 7-segment LED. A right answer meant you could advance your gamepiece across the board. ElectroMusiQuiz was extremely crude, but on the day everyone brought in their board games, ours was the one everyone wanted to try! 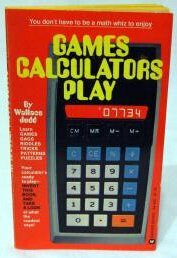 (This was before ubiquitous electronic goodies, you must understand, when upside-down illegible-word calculator games were all the rage.) It earned us a commendation from the principal’s office. Over the next couple of years, Chuck and I spent countless afterschool hours with our heads together in front of his computer, laboriously typing in long program listings from issues of Byte and Dr. Dobbs Journal of Computer Calisthenics & Orthodontia, trying out our own creations in NorthStar BASIC and later UCSD Pascal, or just loading Adventure or Trek-80 from a 500-baud audio cassette and playing until dinnertime. The state of the art in computer gaming circa 1980. We loved it. Occasionally we’d watch in awe as Chuck’s dad used a modem to connect his computer to the mainframe at his office. 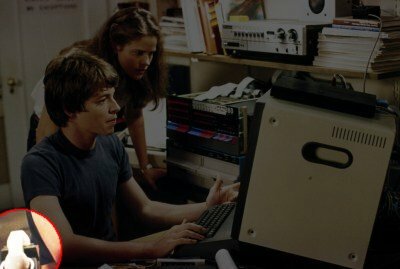 It was an acoustic modem, the kind Matthew Broderick uses in WarGames, where a telephone handset is jammed into a pair of rubber cups, one housing a mic for listening to the screechy data sounds from the handset, and one housing a speaker for making screechy data into the handset’s mic. 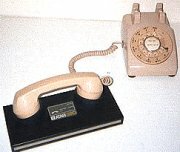 Such a device was only possible, of course, at a time when telephone handsets were all a standard size and shape. One day in eleventh grade (1982-83) we learned that our school had a computer terminal with a built-in acoustic modem — a teletype-style machine, with a roll of paper for printing the output, line by line, from whatever computer you connected it to. Around the same time we learned that it was almost time for our school’s annual Carnival, and we hatched this idea: we would operate a computer-dating booth. A few weeks before Carnival, we’d circulate personality questionnaires to all students. We’d collect them and enter the data from the completed forms into a computer-dating program that we would write for Chuck’s computer. On the day of Carnival, we would set up the terminal in an unused classroom, connect it by phone to Chuck’s computer at home, and direct it to output a list of the five best matches (as determined by our program) for anyone who showed up and handed over a couple of Carnival tickets. Made a crooked deal with one classmate to ensure a certain student appeared in her list of matches (and vice versa) in exchange for an invitation to her upcoming sweet sixteen party. On the night before Carnival there were still hundreds of questionnaires to enter into Chuck’s computer. There were four of us working at it: me and Chuck; my girlfriend Erica, and her friend Mari. It was slow, gruelling work that we did in two-person teams, one reading data aloud from the forms, the other typing it in, occasionally saying, “Wait, wait…” After a while, the reader’s voice would grow hoarse and the typist’s hands would cramp up, and they’d switch roles, or swap in the other two-person team. As the hours dragged on long past midnight and our weariness came close to despair, there was one consolation for me at least: while Chuck and Mari worked and it was Erica’s turn and mine to rest, we made out almost continuously, like the indecent sixteen-year-olds we were. Finally, some time past 3am, the last questionnaire was entered. We amused ourselves for a short time by querying the matching engine a few times to see which of our classmates matched up with whom (untroubled by the ethical or privacy compunctions — see “crooked deal” above — that would constrain our later adult selves), then called it a night. Not enough sleep later, we went to school and set up the computer-dating room. We pushed all the chairs and desks in a classroom toward the back wall and wheeled in the teletype, then brought in a telephone with a cord long enough to reach the nearest extension jack across the hallway in the Foreign Languages office. Next we called Chuck’s dad at home and instructed him to begin the computer connection and then jammed the handset into the terminal’s modem. After fiddling around with various settings (learning on the fly about the difference between “full duplex” and “half duplex”), we were up and running! To our considerable surprise. Almost as soon as we posted our sign on the classroom door, a line formed out the room and down the hallway. We began collecting Carnival tickets, running the matching engine, and delivering the results — a list of fellow students’ names — in the form of printouts torn off the teletype. But the matching engine was slow, taking up to five minutes to produce one set of results, and the line of “customers” just grew and grew. Now and then someone tripped over the phone line and disconnected us, and we’d have to call Chuck’s dad again and arrange a mutual jamming of telephone receivers into modems. As the delays mounted, the crowd’s mood started to sour, and they began clamoring for faster service. 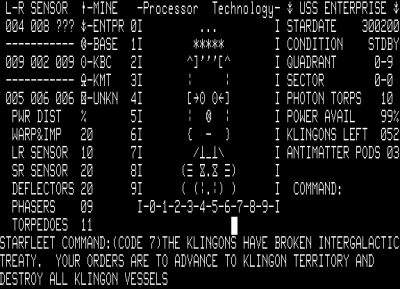 To add to our troubles, the teletype began printing strings of random characters at unpredictable intervals, occasionally dropping the connection! Before long we figured out that this was caused by the noise of the crowd getting into the acoustic modem and being mistaken for data! So we moved the queue into the hallway, closed the door, and admitted just one person at a time. A few hours later, we closed the computer-dating booth. We had collected a small mountain of Carnival tickets and congratulated ourselves on a job well done.